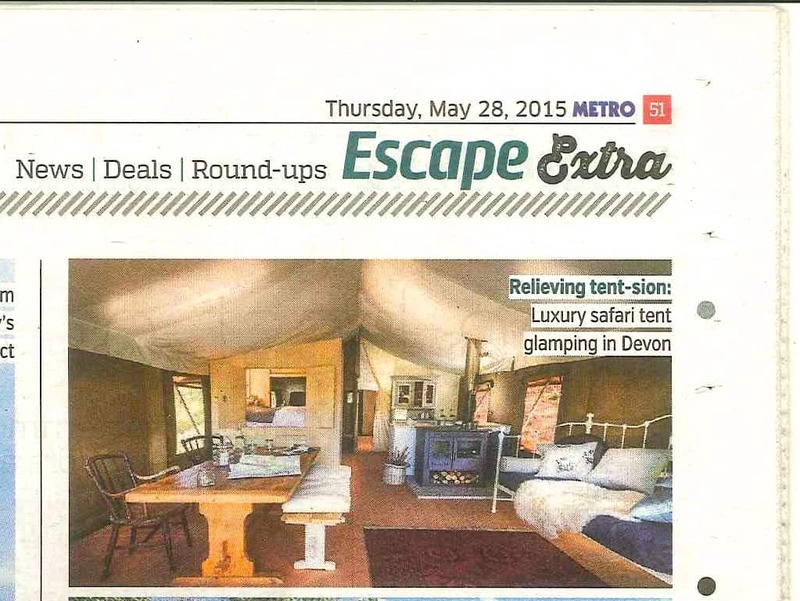 We are really pleased that Metro (London) featured a picture of one of our safari tent in their travel section in May 2015. Only 4 summer dog weeks left to book! Doggie heaven…in Devon!